Story time is a special time in our house. 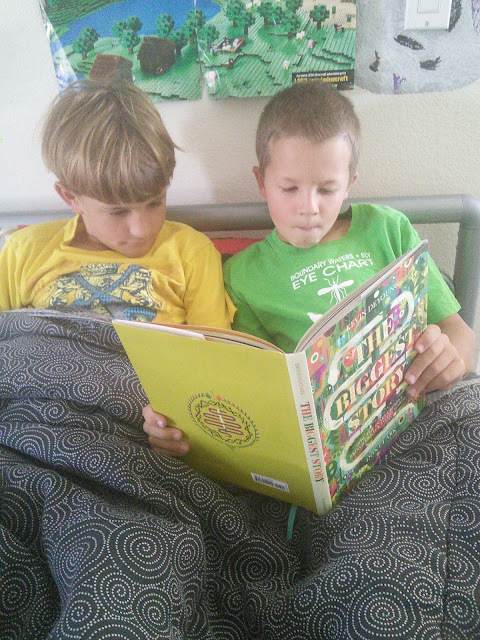 My two youngest boys just love for me to read to them at bedtime. My boys are excellent readers because of story time. My boys are 7 and 8 and are reading 2+ grades above their reading level. The school only tests above 2 levels so I don't really what their level is. Even though the read so well, they still enjoy being read too. I like to use this time to read books that teach them more about the bible to reinforce what they have learned in Sunday school. I like to read books about them bible that have pictures as it helps to understand things better. My boys and I were excited to receive The Biggest Story: How The Snake Crusher Brings Us Back To The Garden. This book has wonderful pictures and will draw kids and parents closer to stories from the bible. I love that the 132 paged book is composed of several short chapters, as by night time I am tired. The book starts with the story of Adam and Eve in the garden of Eden and takes kids and parents on an exciting journey through the bible to connect the dots that lead to Christ's death on the cross to the new heaven and earth. It is a wonderful story that teaches children that God's promises are bigger and better than we think. My boys and I read several chapters a night as each chapter was about 10 pages but only five of them had words on them. Children ages 5-8 will enjoy having the story read to them while children 8-11 will enjoy reading the book to themselves. The author of the book, Kevin DeYoung is a father of six and is a senior pastor at University Reformed Church in East Lansing, Michigan. He even has a blog called the Gospel Coalition and has authored or coauthored several well known books such as Just Do Something, The Hole in Our Holiness, Taking God At His Word, What Does the Bible Really Teach about Homosexuality?, and The Biggest Story, as well as the award-winning books Why We’re Not Emergent, Why We Love the Church (with Ted Kluck), and Crazy Busy. 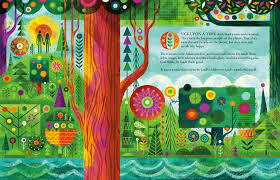 The wonderful pictures are illustrated by Don Clark who is the cofounder of Invisible Creature, a widely respected and award-winning design studio based in Seattle, Washington. He has worked with clients such as Target, LEGO, WIRED magazine, Nike, Adobe, XBox, The New York Times, and more. Don lives with his wife and their three children on a ranch thirty minutes southeast of Seattle. Click on the below links for more information about the book. 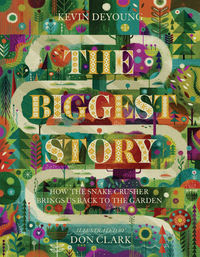 I have a copy of the book The Biggest Story: How The Snake Crusher Brings Us Back To The Garden to giveaway to one of my readers. Just enter on the form below and good luck! This giveaway is open to US and Canada residents 18 years of age or older. Chances of winning giveaway depends on number of entries. All entries will be verified. Winner will be notified within 24 hours of end of contest and will then have 48 hours to respond to the email or a new winner will be chosen. Sponsor is responsible for shipping out prize. Void where prohibited. I learned that the author is senior pastor at University Reformed Church in East Lansing, Michigan. I learned that it has imaginative retelling of the Bible’s core message.. This book sounds really interesting. I hope I win! The author is a father of 6. I learned that he has written many other popular books we have grown to love! The book is endorsed by Rick Warren. I learned the author is a pastor. I love that the author is a pastor who encourages young children to become involved in the Living Word. I've seen the video about the book before because I follow Crossway on social media. I like the sample artwork on the publishers website and it's no wonder given the illustrator has worked with some heavy hitters. I would have liked to have seen a little more of the text. The sample pages have a paragraph and then a few sentences of text. Therefore, I appreciate your insight into how each age/grade level would enjoy the book. My kids are old enough that I make individual reading time mandatory before any after school media. I learned that those illustrations are amazing! I learned that the author lives in Michigan.